It's been a long time coming, but heavyweight boxing finally has the eyes of the world fixated upon it once again. Somewhere in the dominant Klitschko era - or perhaps even before that - boxing's most prestigious division was in a lull. It appeared that the days where fans would flock from across the world to witness two giants go to war were a thing of the past. But now, with three heavyweights in the race to become king of the jungle, things have got incredibly interesting. That was no better typified than a surefire fight of the year contender when Tyson Fury and Deontay Wilder fought to a draw in Los Angeles last month. 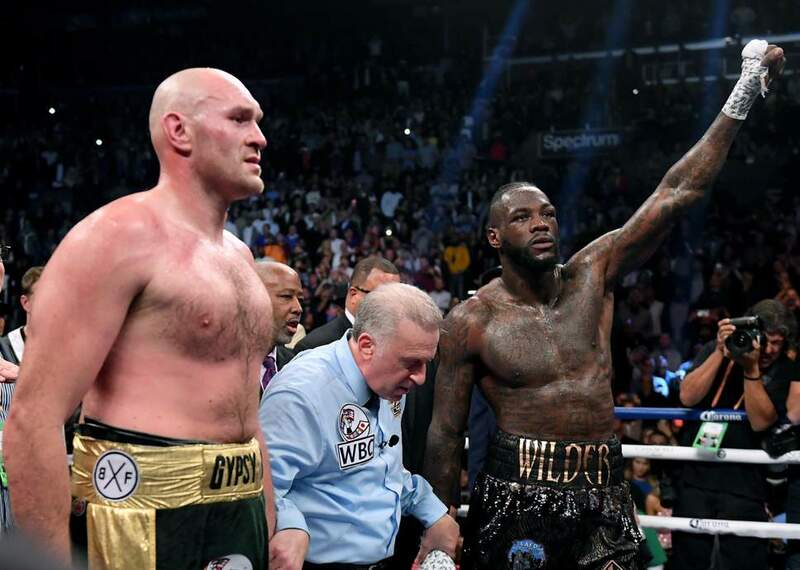 "The Gypsy King" came painfully close to remarking his territory at the top of the division as a world champion, however the judges would have other ideas as two knockdowns proved crucial for Deontay Wilder to retain his belt through a split draw. Meanwhile, across the pond, London's Anthony Joshua is one belt away from becoming the first unified heavyweight champion of the world in two decades. However, depending on which way you look at it, his team around him aren't so sure of the gamble just yet. 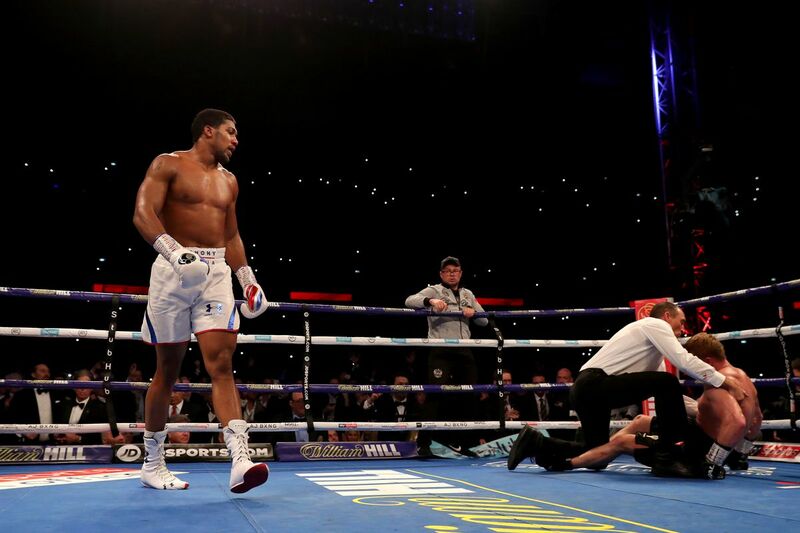 There's no doubting that after his thunderous victory over Wladimir Klitschko at Wembley Stadium back in 2017, the AJ steam train has slightly cooled off. 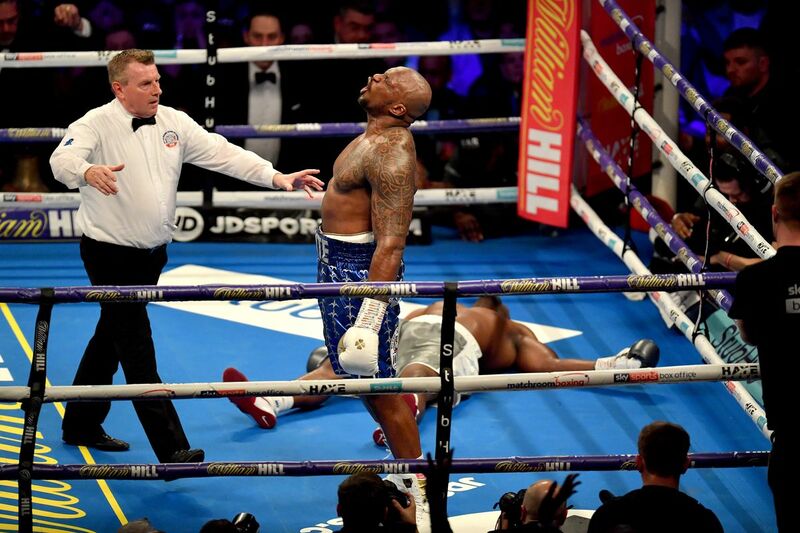 An uninspiring stoppage of Carlos Takam followed by a dull decision victory against Joseph Parker in Cardiff had fans clamouring for the Wilder super-fight, and Povetkin, seemingly a placeholder whilst that fight was worked on, was blown away by the Brit. Despite the blistering performance from a razor-focused Joshua, a lot of the shine was dimmed by the talks of Deontay Wilder and Tyson Fury's huge match-up being finalised. A war of words with some sensational promotion built up to a big showdown at the start of December. 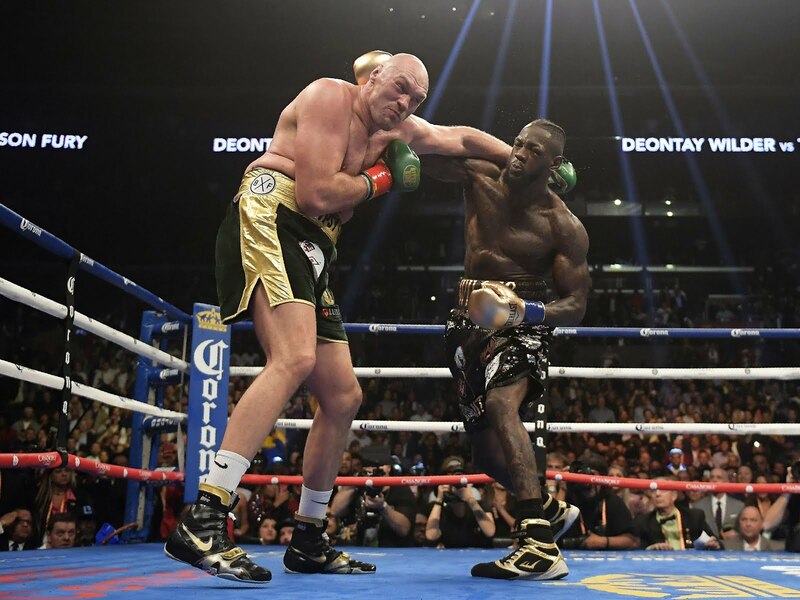 Tyson Fury appeared, for most of the fight to have solved the crushing problem that was Deontay Wilder, and was well on course to do something no fighter had done before, along with completing one of the most incredible comebacks in sports history. However, while he appeared to recover from the first knockdown, somehow "The Bronze Bomber" found it in him to unleash a last-gasp attack on the former unified champion and had him seemingly down and out in the twelfth, before an inspiring get-up by Fury saw him see out the fight. Despite the two knockdowns a majority of spectators and analysts had Fury winning the fight. Judges would disagree and ruled it a draw in an extremely controversial ruling that left the boxing world with a bitter taste in its mouth, even after witnessing twelve jaw-dropping rounds of heavyweight boxing. 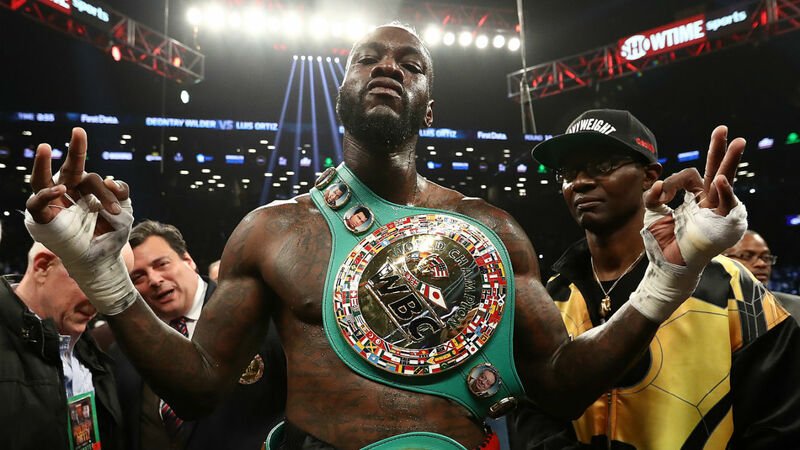 That was another thriller to add to Wilder's 2018 which started in March with a dramatic victory against Luis Ortiz. The American overcame some huge adversity against his undefeated Cuban counterpart to retain his title and prove his worth. A moment likened to Joshua's litmus test against Klitschko in which he picked himself up from the canvas to dispatch the legend in the penultimate round, Wilder no longer has as many critics calling him out. And for that, the reason is clear. Tyson Fury, even if he was still a bit out from his best shape, is the best defensive boxer in the weight class. And he was unable to avoid the ridiculous power of Wilder who almost got him out in the very last round. If Fury can't evade those shots, who can? If only boxing was so simple. Well, there'd be little excitement considering the pretenders would be quickly put in their place, but a lot of our answers would have some much needed definition by now. And better yet, we would see the fights that the world wants. While a Wilder-Fury rematch is more than justified considering how the fight ended, the world is owed a Joshua vs. Wilder unification super fight. It's been a couple years of conversing now but we've barely come close. Both fighters and their respective promoters have made promise after promise and claim after claim, but this saga of finger-pointing could have catastrophic circumstances. We are well and truly in the window to make this fight considering these two undefeated knockout artists hold all the heavyweight belts between them. Otherwise, it could just be another lesson. One that we didn't need considering that Floyd Mayweather vs. Manny Pacquiao is still fresh in the memory of most. That was a clash of two pound-for-pound kings that had been longed for, but after negotiations continued to fall flat and things fell apart it was only a fraction of the matchup it should have been. What makes it exciting is that both Wilder and Joshua have their flaws. Yet for now, they stand at the top of the heavyweight game. With Joshua's questionable chin and Wilder's risky style that may not be something that lasts for long. The window to make the fight could be rapidly closing. With the WBC ordering a rematch for Wilder and Fury, the Joshua train may cool off further. A domestic clash with Dillian Whyte - fresh off his thrilling late stoppage against Dereck Chisora in a highly-anticipated rematch - may fill the reserved slot for Wembley. Or, Eddie Hearn's Matchroom Boxing USA venture could see the British treasure head to New York to fight Jarrell Miller - a fight critics will be licking their lips to tear apart. At this stage we have three men fighting for the crown and then some worthy fighters in the mix to try and topple them. But it would be a grand shame if, when its all said and done, Wilder, Fury and Joshua don't all meet in the ring in their respective matchups to truly answer who is the best heavyweight in the world. Or it could just be added to the cemetery of boxing's "what could have been stories". And that would be a catastrophe for heavyweight boxing. A look at what lies ahead for the heavyweight boxing scene in 2019.